The Unknown, Entertaining Mind of Miss Dena Jones: I'm in Paper Pad Heaven ! I'm in Paper Pad Heaven ! Hello, Bloggers! Hope you are all having a great week. 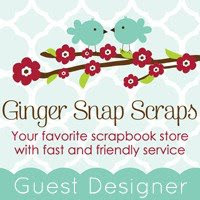 This month, I have two guest designer spots over at Ginger Snap Scraps. GSS is an online retailer run by Cori, a stay-at-home Mom. She carries the latest and greatest stuff, ships quickly, responds quickly to inquiries, and always has a sale going on. GSS has become one of my favorite places to shop! 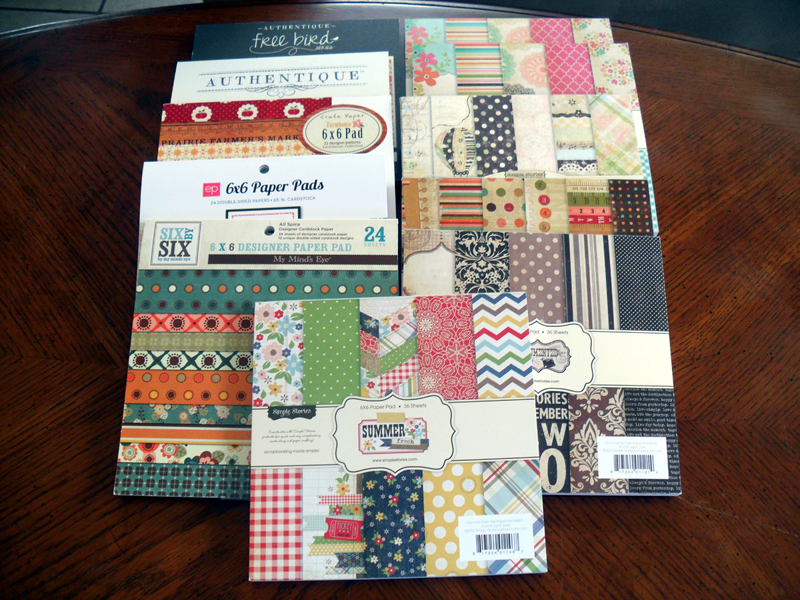 One of my absolute favorite papercrafting/scrapbooking supplies is PAPER! Oh, how I love, love, LOVE paper! I love to just ooh and aah over my favorite lines. Since I make a fair amount of cards, I have turned to hoarding paper pads. What I love about paper pads is not only the variety of papers you get, but mainly, the fact that the designs are scaled down to 6 x 6 size. Basically, the design or pattern has been shrunk down from 12 x 12 to 6 x 6. The scaled down pattern works so much better for cards. Now, it is possible to use these paper pads for scrapbooking, too. I haven't tried it myself, but I know that some scrapbookers do incorporate paper from their 6 x 6 pads on their layouts. Sometimes, depending on what they are doing, they have to hide a seam somehow, but it sounds like it's not a big deal. Well, just before Mother's Day, Cori at GSS had a sale on paper pads. They were 40% off !!! Boy, was I ecstatic! As a Mother's Day gift, my honey told me to treat myself to some goodies. At 40% off, I just had to snap up a bunch of these paper pads to add to my growing collection. I got a bunch from my new favorite line : Simple Stories. Oh, my gosh! I love every single paper pad of theirs! I wasn't able to get any with this order, but My Mind's Eye is in my top two faves followed by Echo Park, Authentique, and Crate Paper. I like to try a variety of products, tools, and lines when it comes to this hobby, and I am definitely glad I discovered Simple Stories! Well, I am sorry I have no project to share with you today. I hope you all don't mind, but I decided to start doing some posts on my favorite supplies. What I love about blog surfing is the fact that I discover so many new companies and supplies for our craft by reading blogs. I thought it would be nice to return the favor! oh those paper pads do look yummy!!! have fun playing with them! They are so addicting aren't they. Love Cori and GSS.